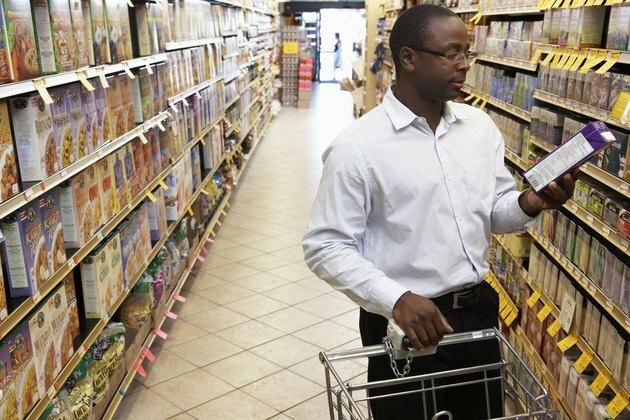 Sorbitol is a sugar-based alcohol naturally found in small amounts in some fruits and berries, but it's known more for its artificial synthesis and use as a sugar substitute. 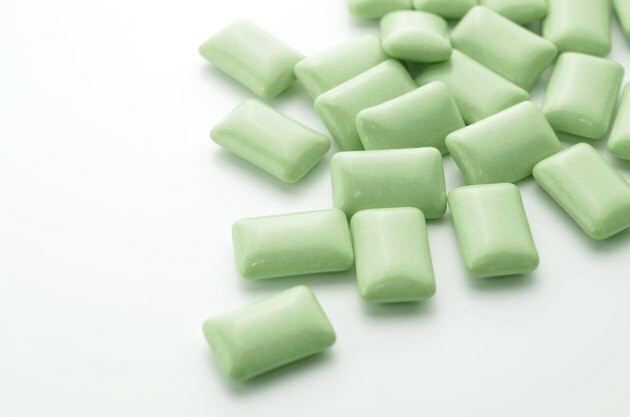 Sorbitol is commonly found in sugar-free products such as chewing gum, candies, ice cream and cough syrups. However, sorbitol is metabolized very slowly by your body and known to display laxative properties and can cause bloating from gas-producing bacteria in your intestines. If you have irritable bowel syndrome or other digestive problems, consult with your doctor about some of sorbitol's side effects. 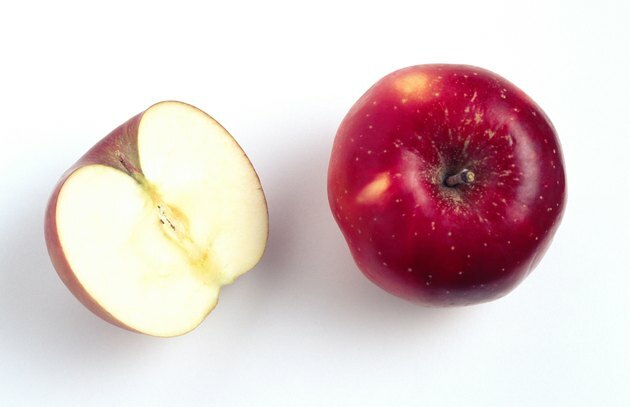 Sorbitol is found in apples, pears, peaches, prunes and some berries, but in very small amounts. Once consumed, it is eventually converted to fructose, or "fruit sugar," by a couple of different enzymes in your large intestine. Sorbitol is considered a nutritive sweetener because it provides energy for metabolism, about 2.6 kilocalories per gram, which means that the sugar-free products it's in are not actually free of sugar, nor are they calorie-free, as noted by the Dictionary of Food Science and Technology. 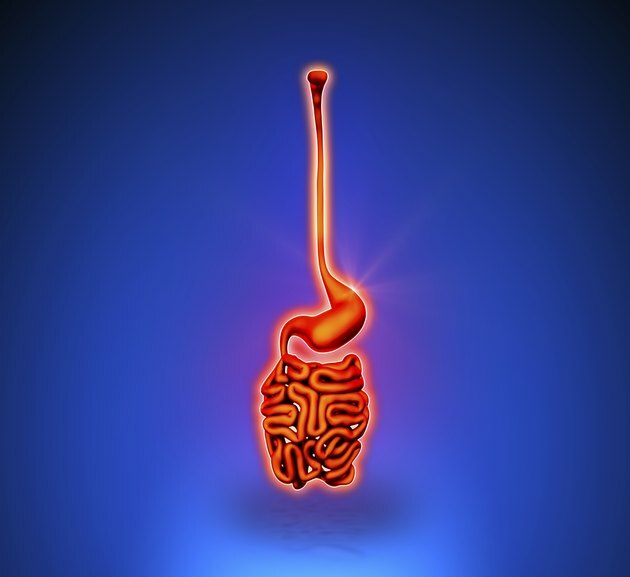 Sorbitol takes a relatively long time to digest, and undigested sorbitol in your small intestine acts as a substrate or platform for the fermentation of bacteria, as explained by Sareen Gropper, author of the book "Advanced Nutrition and Human Metabolism." As bacteria ferments, hydrogen gas is produced, causing abdominal cramps, bloating and severe flatulence. As such, sorbitol may aggravate irritable bowel syndrome and similar gastrointestinal problems resulting in severe abdominal pain, even from small amounts ingested. Although not common, some people may also have an allergic reaction to sorbitol and other sugar-based alcohols. Sorbitol also causes laxative effects because it draws water into your large intestine, which is referred to as an osmotic purge, and stimulates bowel movements. As such, consuming sorbitol may cause your bowel movements to become watery and more frequent, which increases the risk of dehydration, according to the book "Medical Nutrition and Disease: A Case-based Approach." Additional bloating might be caused as fluid rushes into your bowels via osmosis, although it would likely be relieved with a bowel movement. Sorbitol is so effective at stimulating bowel movements that it is sold as a pharmaceutical laxative. Scientific studies dating back to the 1980s and 1990s determined that ingesting as little as 10 grams of sorbitol can lead to abdominal pain, bloating, flatulence and diarrhea in some users, according to the book "Functional Biochemistry in Health and Disease." Everyone's laxation threshold, which is the amount of sweetener that can be consumed before abdominal discomfort sets in, is different and can increase with regular intake. Some sugar alcohols have a lower laxation threshold than sorbitol, such as xylitol, but xylitol doesn't often cause as much symptomatology as sorbitol does. Check the labels of your sugar-free products and consult with your doctor if your suffer from excessive bloating and gastrointestinal distress. Advanced Nutrition and Human Metabolism; Sareen Gropper, et al. Functional Biochemistry in Health and Disease; Eric Newsholme, et al.